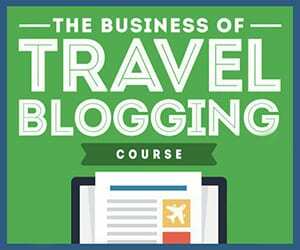 When I started this blog, I searched the web for travel blogs to use as inspiration and examples for both page set-up and content-creation. Over the last almost 4 years, I have gotten hooked on the stories of several of these bloggers, and met some of them in person! I wanted to feature some of my favorites here on the blog so I reached out to them and asked them to share their favorite destination inspired by a book. Disclaimer: This post contains affiliate links. If you purchase a book through IndieBound you’ll be supporting Indie bookstores and I’ll make a few cents at no extra cost to you! Nomadic Matt visited Australia, inspired by Bill Bryson’s In a Sunburned Country. One of the many travel books that has inspired me to seek out new and exciting destinations is Bill Bryson’s In a Sunburned Country. 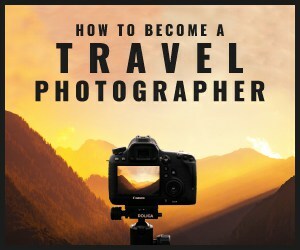 While all of his books are amazing, it was this book that inspired me to break out of my comfort zone and travel across the world (literally!) to visit Australia. His descriptions of the landscapes and the people were so vivid and captivating that they left me craving more. I just had to see the country with my own eyes! I’ve been to Australia a few times now, and I have had so many amazing experiences there. And it all started with this book. Matt sends out monthly reading suggestions, which you can sign up for here. Ultimately, like she says in Northanger Abbey, “Friendship is certainly the finest balm for the pangs of disappointed love.” I felt a kinship with Jane. It was oddly soothing to know that English scoundrels have been vexing women for hundreds of years, and despite traveling solo, I was not alone. Blond Wayfarer visited Edinburgh, Scotland, a UNESCO City of Literature. My absolute favorite literary inspired destination is Edinburgh, which is the cultural capital of Scotland. Edinburgh is a paradise for book lovers. For example, Edinburgh was named a UNESCO City of Literature in 2004. This title is accurate. Every August Edinburgh hosts an incredible book festival with wonderful panels. However, you can sense Edinburgh’s literary spirit every day of the year. Go to the Elephant House and see the bathrooms. The walls are covered in graffiti dedicated to Harry Potter! There are even Harry Potter walking tours if you’re a fan of the novels. And Edinburgh’s literary tradition isn’t exclusive to J.K. Rowling either. For instance, the Writer’s Museum is another cool “bookish” site dedicated to authors such as Robert Burns, Sir Walter Scott, and Robert Louise Stevenson. Don’t skip Edinburgh on your next literary trip! Musing Jo visited the Peter Pan statue in London, inspired by J. M. Barrie’s Never-Never-Land. All of these bloggers have inspired me along the way and I hope you’ll go check out their blog posts and vlogs! Have you traveled to a destination because of a book or an author? Let’s discuss in the comments below! Next Post Are You A Monster If You KonMari Your Books? I want to join the Suitcase Book Club!